Plan in advance for this easy recipe for your own homemade strawberry wine -- it needs to age at least one year! Your investment will be minimal after the initial mashing, straining and bottling. This recipe doesn't use any added yeast. It relies on natural fermentation from the wild yeast already present on the fruit. If you don't want to trust nature, there is an option to add wine yeast. You can use any strawberries for this recipe, but the best flavor nuances will come from garden strawberries or wild strawberries. Seek out strawberries from the farmers market in season (early summer in most regions) if you don't grow your own. You'll also need space for the crock and bottles to be left to do their work. It's best to keep them in a cool, dark place, so you may need to designate a closet for your fermenting. Wash and hull the strawberries, removing any stem or bits of leaf. In a large earthenware crock, mash the strawberries. Cover the mashed berries with boiling water, add lemon juice, and quickly stir for about two minutes. If you want to add wine yeast, add 2 teaspoons when the mash has cooled to 85 F.
Cover with a clean linen cloth. Let the crock rest in a cool, dark place. Give it a stir each day for one week. After one week, strain the mixture through a double-layer of cheesecloth into a large, clean bowl, discarding strawberry pulp. Combine the strawberry liquid with the sugar, stirring it to dissolve the sugar. Pour the liquid into the clean crock and let it stand another week, stirring it daily. 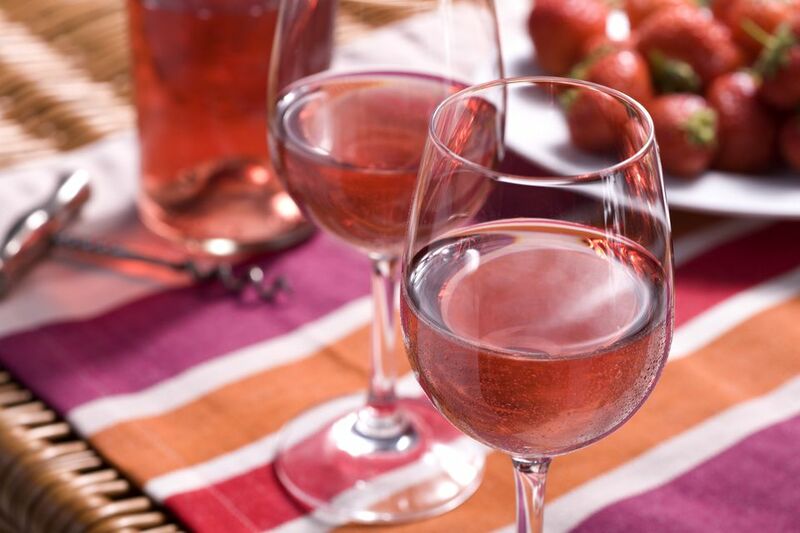 After the second week, pour the strawberry liquid into 1-gallon glass wine bottles and cork them loosely. If you have fermentation locks, you can use those instead of a loose cork. Let the bottles rest in a cool, dark place for three months. When the wine is clear and no longer fermenting (bubbling), pour it into individual bottles. Cork them and let them age at least one year before drinking this delicious strawberry wine. Be sure to label the bottles with the date so you know when it's time to enjoy the wine.